The China Partnership of Greater Philadelphia (CPGP) is a 501c3 non-profit organization promoting commercial collaboration between the 13 counties of Greater Philadelphia and northeast China where PHL's Sister City Tianjin is the nationally-designated engine of regional growth. 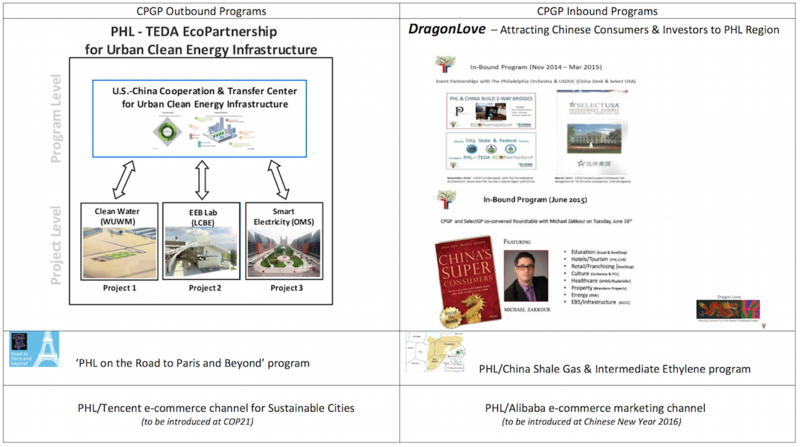 Outbound, our PHL-TEDA (Tianjin) EcoPartnership won bi-national recognition from the U.S. and Chinese governments in 2014 as one of the 25 pre-eminent U.S.-China clean energy collaborations recognized over the past six years. 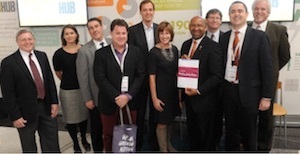 Inbound, we work with strategic partners --SelectUSA at the national level and Select Greater Philadelphia at the regional level -- to help PHL attract Chinese investment and consumer dollars. 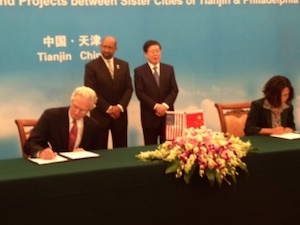 The Greater Philadelphia (PHL)-Tianjin Economic-technological Development Area (TEDA) joined the U.S.-China EcoPartnerships program in July 2014 to jumpstart innovative “Urban Clean Energy Infrastructure” solutions in both regions. This unique combination of real-world technology demonstrations and product showcases will get viable new infrastructure breakthroughs quickly into Chinese and U.S. markets with support from the two national governments.